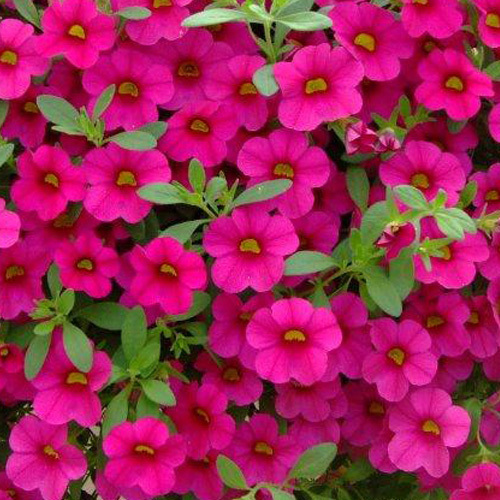 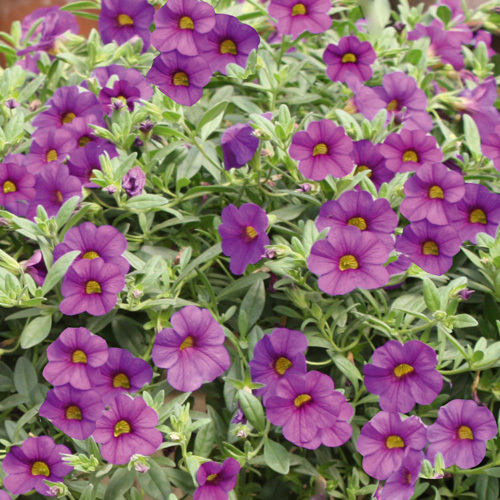 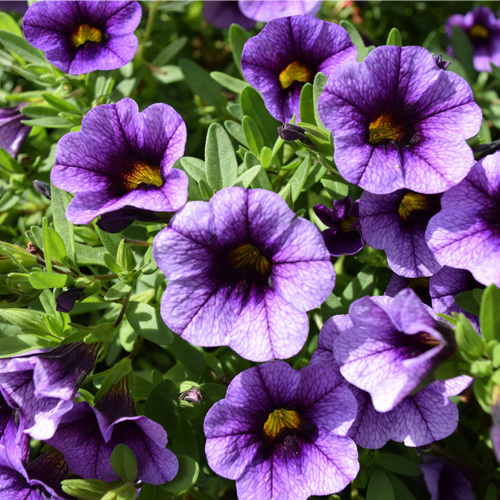 Million Bells® are the most popular range of Calibrachoa plants. 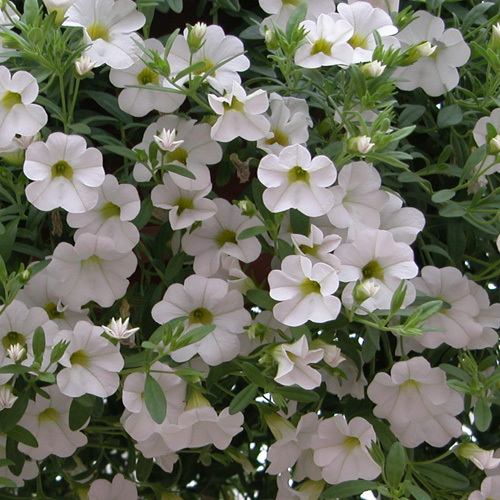 They produce masses of small flowers about the size of a 10 pence piece. 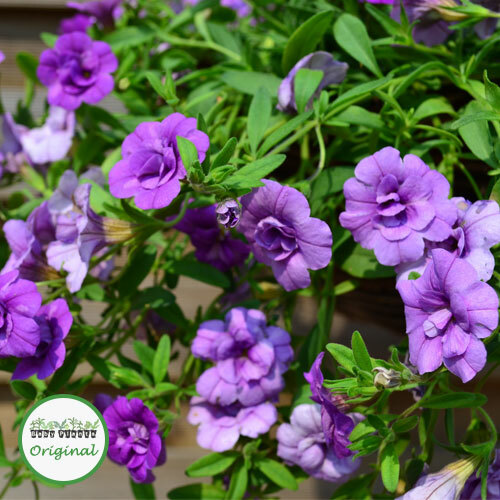 They are less vigorous than traditional trailing Petunias, and when planted in hanging baskets they produce a lovely, neat ball of colour. 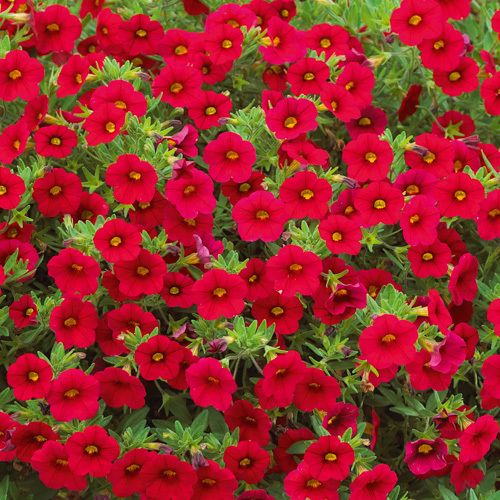 They also look great in patio containers. 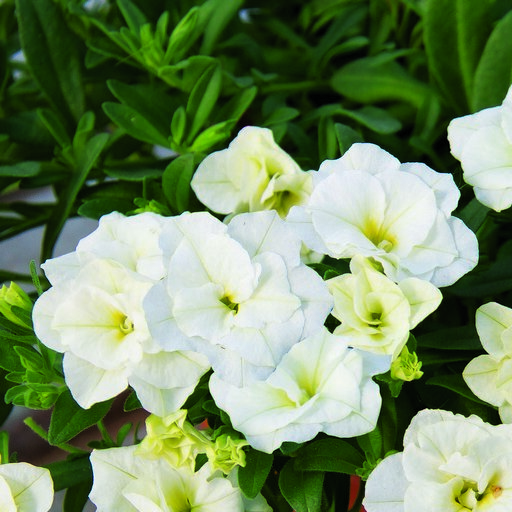 We have a lovely range of trailing petunias which have mini double flowers. 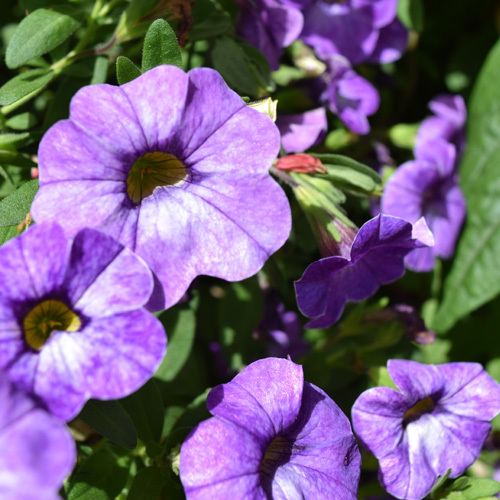 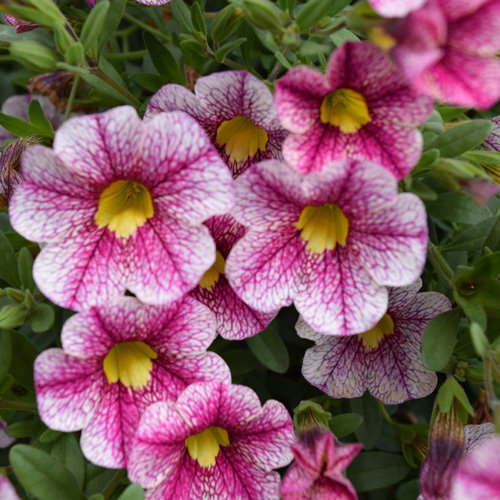 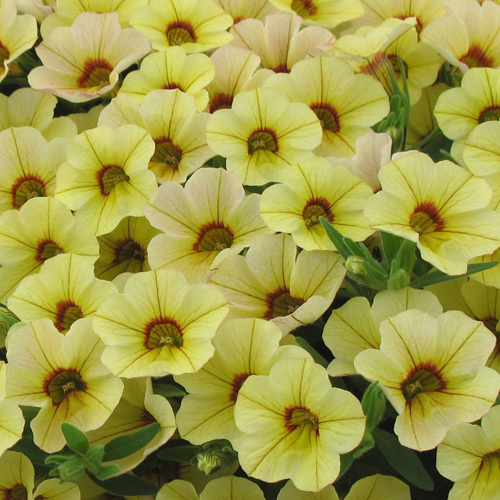 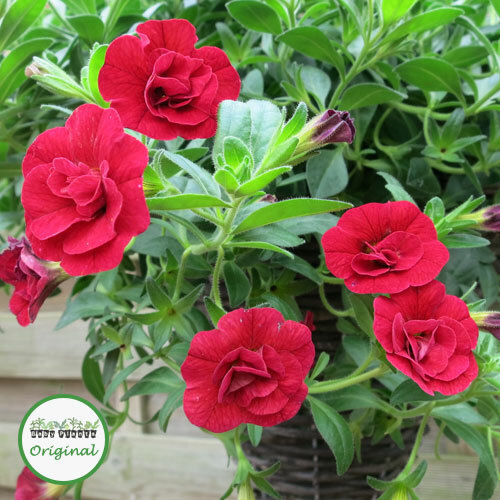 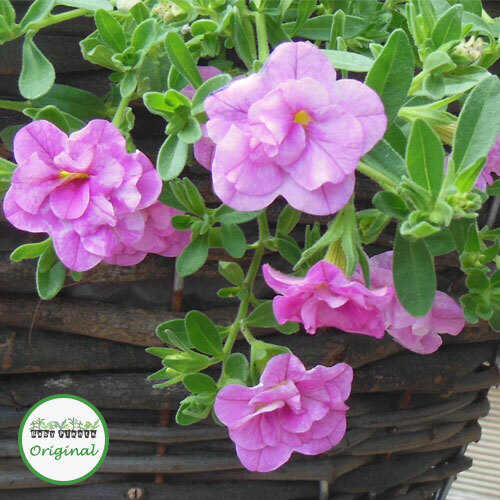 These are ideal for planting in hanging baskets or patio containers. 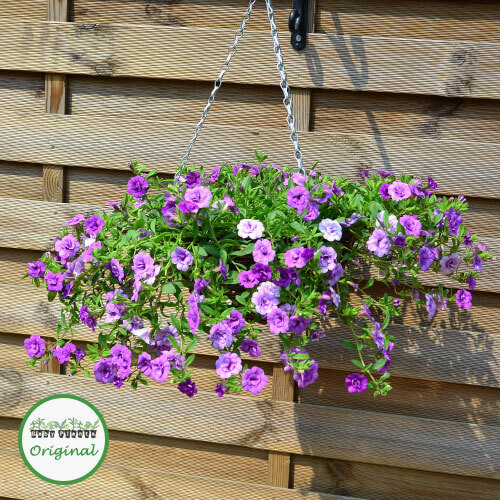 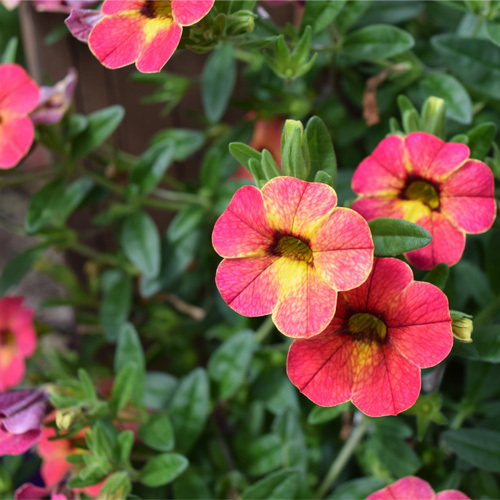 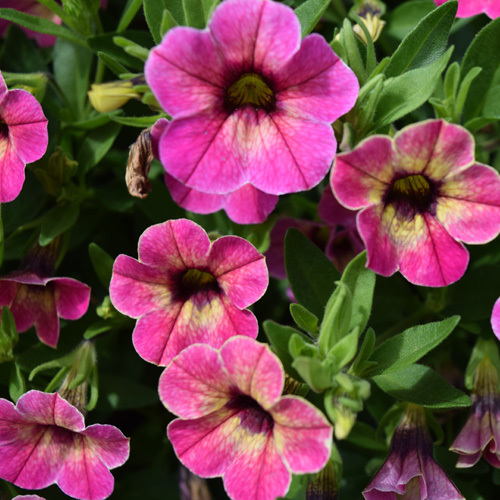 These mini flowering Petunias are less vigorous than traditional petunias, and when planted in hanging baskets they produce a lovely, neat ball of colour. 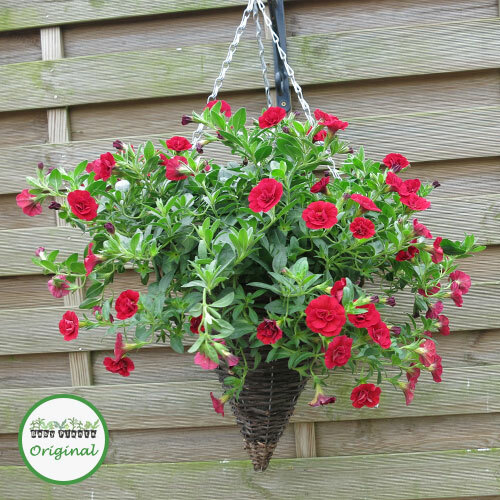 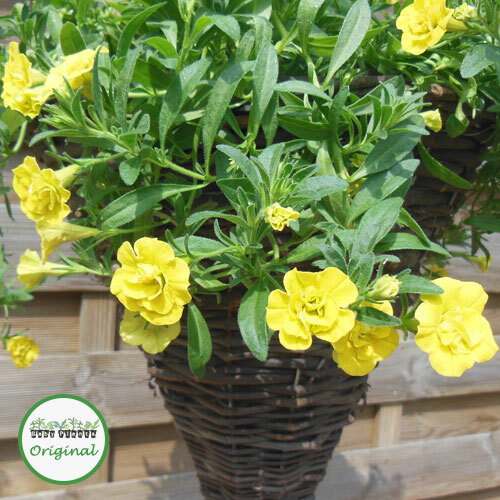 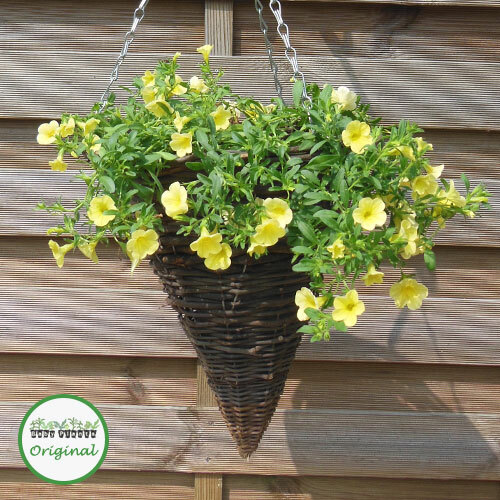 To fill a 12″ or 30cm hanging basket we would recommend using 5 of these plug plants.